With the LOCARNO GTX® QC Ws, a short walk can turn into a long stroll through the city. 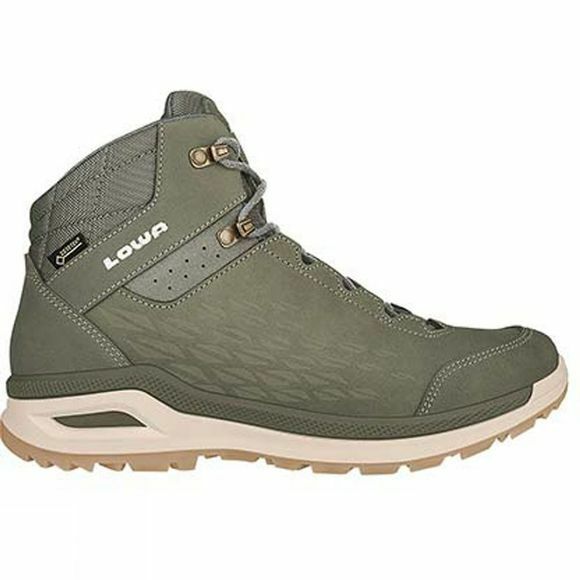 The trendy embossing on high-quality leather, the Gore-Tex® lining, a newly designed, reduced LOWA-MONOWRAP® construction and a cushioning midsole made of DynaPU® make this fashionable women's shoe an all-rounder that rises to every urban challenge. There is also nothing to prevent a short stroll along forest trails and meadow paths.